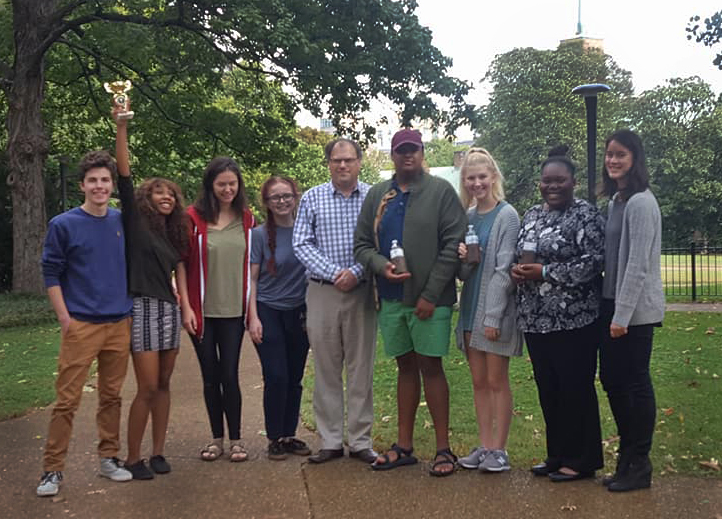 Members of Samford University’s debate team earned a number of honors at a Vanderbilt University debate tournament Oct. 14-15. Kiarra Broadnax of Smiths Station, Alabama, was named fifth speaker in the novice division competition alongside teammate Julie Ramsey of Kunming, China. In the junior varsity division, Samford debaters Kevin Aubrey of Lafayette, Louisiana and Sarabeth Wendt of Round Rock, Texas, were named sixth and tenth speaker, respectively. Niki Brooks of Alpharetta, Georgia, was named sixth speaker in the varsity division competition alongside teammate Robbie Nikont of Lakewood, Colorado. Brooks and Nikont reached the “elite eight” of their division. The Samford team of Jamie Davenport and Moriah Windus of Ozark, Alabama, also competed in the varsity division. In addition to its nationally competitive teams, Samford’s debate program hosts the Samford University Public Debate Series, the Bishop Guild Debate Tournament, the Birmingham Area Debate League and a Summer Debate Institute for high school students.